Infinity Flight is excited to offer a flow-through agreement with Piedmont Airlines, a subsidiary of American Airlines. 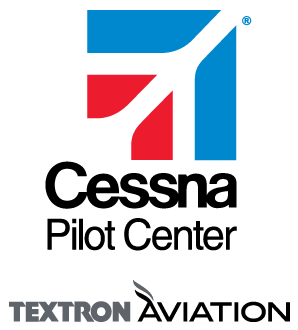 The agreement allows Certified Flight Instructors (CFIs) employed by Infinity to interview with Piedmont Airlines with only 400 hours of flight time. Piedmont will offer conditional employment to the selected candidates and pay a bonus structure for every 100 hours CFIs fly at Infinity until they reach the required ATP minimums. Additionally, program participants will also receive a $5000 signing bonus, and allow the candidate to jump from flight instructing one day, to commercial airline pilot at Piedmont in the shortest time possible. This agreement also allows Infinity pilots who are hired by Piedmont to be placed on the flow through list for American Airlines. With the predicted pilot shortage, and commercial airlines building their fleets globally, this agreement will ensure a fast track to success for anyone interested in pursuing a career as an airline pilot. Piedmont's Cadet Program offers big opportunities for new pilots. • Once qualified as an Infinity CFI with 400 hours, you are eligible for the Piedmont Cadet Program. • As a Cadet instructor, you will receive partial tuition reimbursement each month, as well as numerous opportunities, including mentorship with airline industry experts. • At Restricted ATP/ATP minimums, you will be enrolled in an ATP-CTP course, including transportation and accommodations, at no cost to you. • After completing the ATP-CTP course and ATP Knowledge Exam, you will be placed into the next First Officer new hire class at Piedmont. • Flow to American Airlines is based on seniority with no additional interview required.